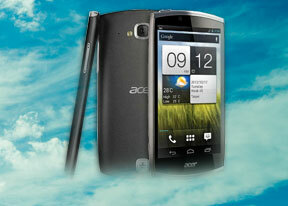 Acer Cloud Service is just an optional cloud service that you gain acces to. You can store whatever you want on the phones internal memory or on the micro sd card. 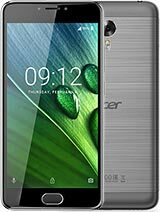 Im already booked for this phone, i live in indonesia, cant waiting until wednesday to get this phone :D, hopefully this will be the nice gadget for me, one question from me, izzit correct the screen is scratch resistant? if no, i prepare to order screen protector :D.
PS: sorry for my bad English btw. Im already booked for this phone, i live in indonesia, cant waiting untuk wednesday to get this phone :D, hopefully this will be the nice gadget for me, one question from me, izzit correct the screen is scratch resistant? if no, i prepare to order screen protector :D.
Do i nees to use cloud aka streaming to be able to listen music or watch videos? Can i store my mp3s and videos in phone memory on or microSD card and play from there? I hate cloud but like this phone maybe its stupid question but pls help me. There are no touch-sensitive controls. Only the preproduction models had that. Overall it's exceptionally good. The price-quality ratio is unbeatable. Battery capacity could be bigger, but for me it’s not an issue. 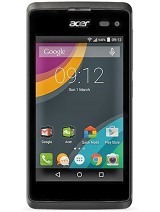 I own this phone and recommend it. with a bigger battery and jelly bean, this phone will be awesome... can't wait for official update to jelly bean. 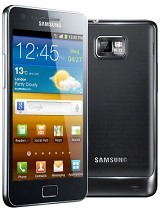 i love this phone and with those upgrades will be best buy at it's price! it has TV out via MHL?! BlackBoy, 12 Nov 2012Hey there, i'm curious about the battery life, could you tell me, how long it lasts? Thanks in... moreThe batery is good for what the phone can do, aprox. 1 day with wifi, talking, gaming, and internet. only talking and messaging I think it will stand for at least 2 and a half days. I have this phone for a week, and I am very satisfied! best option at this price! 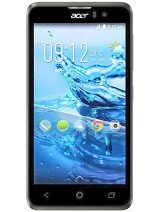 I had to choose this one or SONY xperia J, but acer cloud mobile just made smile. BlackBoy, 12 Nov 2012Hey there, i'm curious about the battery life, could you tell me, how long it lasts? Thanks in... moreHi, i have bought this device 4days ago, i did an endurance test: from 100% to 10% battery life in 4h25m with WI-fi on, 8gb app download on wifi, live tv and online gaming. In normal condition it last me from one day to another, never let it discharge under 30% so far. 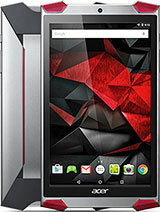 Very very good device, i can play gta3 nova asphalt 7 and many other games lag free. Video recording and picture shooting is outstanding. I totally recommend this device ! 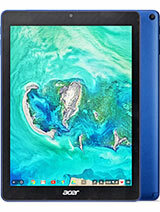 SAR value on acer website is 1,25 but it doesn`t say anything else.